This is as intense, angsty, tumultuous and heartbreaking as a beautiful epic love story gets, my friends. Absolutely addicting! Going up is easy. Coming down is the hard part. And oh yes… I GET IT!!! Even in it’s drama, it doesn’t feel… too over-the-top, though you know? Logical exasperation. No eyerolling, or book skimming, for me, even though I was fully affected and distraught. Sometimes, two people are the only people in the world for each other. For a long time they held each other. “I can feel your heart,” she whispered. “I can feel everything,” he said. Soulmates. The truest of loves, no matter who comes between them in their journey, no matter where their roads take them. No matter how badly they tear each other apart in the process. And OMG did this one do exactly that! That said, can true love surmount even the most drastic of upheavals and the emotional scars they’ve caused? At first, when the adamant recommendations came my way, I hesitated. Why? The blurb. Mind you… I skimmed it very lightly and halted right in the first paragraph that said something about a ballerina, and her dance troop, and one of the creative types “behind the scenes” and the theater and all that. Artsy stuff. LOL!!! Okay now I know you’re eye-rolling at me. Not that I don’t enjoy watching ballets and theater and musicals and dance and all that awesomeness, but I feared a sense of… stuffiness, in regards to actually reading something like this. Something that maybe… I couldn’t relate to. But I stopped reading the blurb (I had enough of an “idea”) and I read this simply due to the HUGE LOVE this book was getting. Hesitant that I’d be able to “get into it” or not, be damned!! I was going in and staying for the long haul. A story that elicits that kind of emotional reaction from readers (shivers??) had to be for me. Tracy: The Man I Love was fantastic. I read it a few months ago and it has stayed with me. Every time I see the cover on my Kindle app I stop and go over the story in my mind. Megan: They were amazing!!! …I was a little scared to read Daisy’s POV because I’ve read so many point of views that just end up being a retelling of the story. NOPE not Daisy’s lol Give Me Your Answer True answered so many questions that I had after reading The Man I Love. I loved both books. Hayling: Not to be dramatic but this series sort of changed me. Can’t wait to hear how it affects you. Rosie: These books were (are) amazing! Marie: Laqueur was at the Readers’ Favorite Awards in Miami this weekend. The Man I Love won a gold medal. The series is fantastic. Beautiful writing, intense emotions and the characters stay with you forever. Oh you guys are SO right. It totally was. But it’s not about that (the ballet) at all. YES, the concerts and the theater and the stage hands and the dancers and the teachers essentially set the “book-stage”. And yes, there is the excitement of rehearsals, and emotional connections with dancers on stage while boyfriends at first watch with chagrin, and partners that get mis-matched, and whatnot, but what this is about is a group of strangers from all walks of life, that become tight-knit friends. Best friends, some… lovers and some traumatic events that create a few enemies, to boot. And not the “catty” kind either. This is tangible, understandable, excusable, inexcusable, terrible and terrific in all of its trauma. In all of its beauty. In all of its terror. Maryse: … pretty good so far, but I realized it’s yet another almost 500 page book. Tee hee!!! Which is good in regards to characters and story development. I’m still in the “getting to know them/each other” stage. Maryse: *oooooomph*!!!! I JUST HIT AN OMG PART in the book I’m reading. 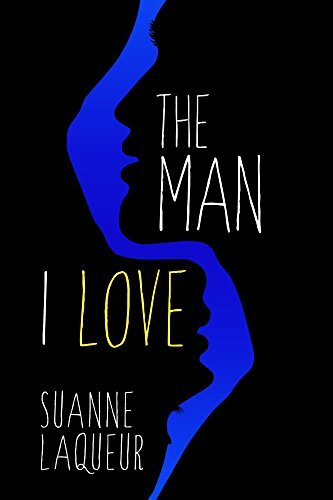 “The Man I Love” Whoa. bev: Can’t wait to read your review. Looks like a lot of people love it around here. Maryse: Update on The Man I Love… she’s a remarkable writer. The story is amazing.. the first 20% I was getting used to all of the characters and the feel of it (and her writing was very eloquent, mature and kind of… BIG, and it was taking a bit for me to fit into the story) but now HOLY MOLY she is good. This is as real as it gets. I LOVE IT. College students that are majoring in theater and dance, and have the potential to be part of famous ballet… troops? Aspiring to become professional ballet dancers. Concerts, touring the world. These student dancers (that have been dancing all of their lives) are remarkable. Loved, and celebrated within their college. And Erik, who is a tech that works behind the scenes, (by the way, this book is from his POV), falls head over heels with a junior ballerina that is stealing the spotlight. And she takes a liking to him, too. Erik felt a bell toll, a peal of recognition. And for the rest of his life, he would swear, he would swear to anyone who asked, although nothing was said aloud, he heard Daisy Bianco speak to him. She said it with her eyes, he heard it clearly in his head, and it wasn’t hello. We go from flirty, to friends, to so much more. And then the friendship expands amongst the entire crew (stagehands, teachers, and dancers alike). It’s wonderful. Amy: how is The Man I Love going? Is it only his POV or is it dual? fabi: A book called The Man I Love is in his POV? That doesn’t make sense to me. Maryse: fabi… she’s a ballerina and he is a stage coordinator/creator/stage-hand lighting guy (sound… guy?) LOL!! !… and that is the song she is dancing to. And while at first, I struggled a bit with the intro (about the first 25 to 30%), getting to know the “theater” setting, and the large cast of characters, and the weird “new guy” dynamic, I soon found myself fitting in. As he did. And I never wanted to leave. I felt as if I was in their cool crew, and I truly believed their connection. Not just between two people, but the whole group of them. I was rooting for them all! ALL. But as friendship, spotlights, and love would have it, jealousy and disappointment, and maybe even selfishness (I guess it depends on how you look at it) rears its ugly head, and tragedy turns into personal torment, turns into retreat, turns into various forms of betrayal. Turns into desertion. I’ll let you experience all of that, because there is NO way I can make you feel what I felt… what these characters felt, better than the author. Maryse: “I could never hate you. But now I can never love you.” OMG… my heart. Meredith: One of the best books I have ever read!! Maryse: OMG THIS IS IT Jody!!!!!! THIS. IS. IT!!!! Jody: I am actually nervous to start now…..
Emma: Woo hoo! Love that you’re loving it!! Ann: I loved this book, and also Daisy’s point of view in Give me your Answer True. January cannot come soon enough for the last book! The ending from Daisy’s POV was also so much better (not different, just more detailed)! Emma: I loved having Daisy’s POV. It’s far from a same-event retelling either. It’s having the cake and eating it too. Carol: I read this book and it’s sequel several months ago. So, so good. Sadie: Let me know when you read book 2 and I’ll read w/you! Maryse: Sadie, I’m finishing up my review right now and heading right into book #2. 😀 !!!! I’d almost recommend you NOT read the blurb, because I got a fright and went into shock at a certain point. A few points. The blurb actually spells out one of the “things” that surprised the heck out of me and hooked me TIGHT. Because I hadn’t fully read the blurb, I didn’t see it coming and when it did… wow. Now, had I READ the full blurb in detail (and not stopped and pouted at the “creative artistic dancers” part), I would have been VERY excited to read it anyway, but I won’t tell you what. I recommend you go in blind as I did. OMG eeeeeeep!!! Yes…. You’ll see. Brilliant writing, evocative storytelling, and simply stunning in its journey. Yes. I am moving right on to book #2. I am hooked on these characters and I have to know more. Especially knowing what I know now. He listened to the sound of his chest-wrenching sobs echoing off tile. He was both frightened and fearless. His own splendid anguish ricocheting around him. This was the real story. This was how it started. Gah!! It’s like this author is an emotional writing genius or something. It’s so fulfilling, so well-rounded, so… BIG. Just you wait. You’ll see. I’m speechless. I’m a writer and I have no words. I always struggle to define my writing style but I think you may have solved the issue for me. Sorry about the big book….I didn’t have time to write a small one. Wow Maryse, great review! You’ve convinced me. This will be my next read although I’m a little scared of the “getting my heart ripped out” part! Wow. I’m both excited and scared to read this, although I wish I hadn’t read the blurb! I had heard about this book but passed on it. I’m buying it right now after this review! Whoa. I didn’t read the blurb, honestly, I didn’t even read the review, I just scrolled down to the bottom and saw your 4.5/5.0 rating and knew it’d be worth my time. My thoughts? Now after reading your review, you really summed it all up nicely. It was a bit hard to get into, but sometimes the payoff there is worth it, as was definitely the case with this book. My only complaint? I wanted more Will. There was something about him that was so intriguing and endearing. I wanted to know him more. Maryse, I could not be more thrilled that you loved this as much as me. And I love your interaction with the author. I think BIG is definitely a good description. Shivers also works, lol! I gave in and read the review before the book. Yep, it’s my next read for sure. YAY Dana!!!! I’m so glad you loved it too. *wheeeeee*!!! The second book is just as good, if not better. I read book 1 and 2! Fantastic read …I love Eric I could understand him and when I read Dais I understood her ……I love everything about it! I’m late to the party again! What else is new. I’m at about 85% right now and I’m reeling. I’m in a Erik/Daisy fog big time. This really is an incredible book. I love it (period). L.O.V.E. I.T.! I 100% agree with Celeste, I will be reading anything that this author writes. What a talent she is.